Even if modified cars and trucks are the centerpiece of the Wasteland Weekend, no ferocious gang of post-apocalyptic hoodlums and mayhem-seekers would be complete without a bike gang. It’s easily the most practical way to get around the grounds of this desert festival, and the riders look revved up and ready to rock. 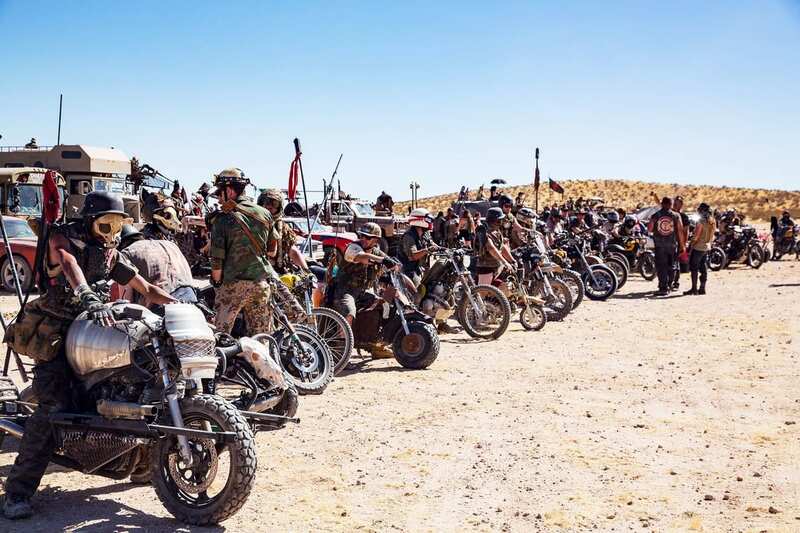 Amidst the tribal frolicking, the drinking, partying, battling, jousting, and generally wreaking of havoc, Wasteland Weekend is also a place for bikers to feel free to be themselves. Already having a reputation as wild, free, and unrelenting spirits, this is a space for them to truly exaggerate their features as they tear through the desert.